The mouse cursors is the one and only thing that represents our hands inside our systems. Looking at the same dull mouse pointer everyday can seriously increase your boredom and undermine your productivity. Installing a new mouse cursor theme on Windows is fast, easy, and can provide just the right refreshment for your desktop. 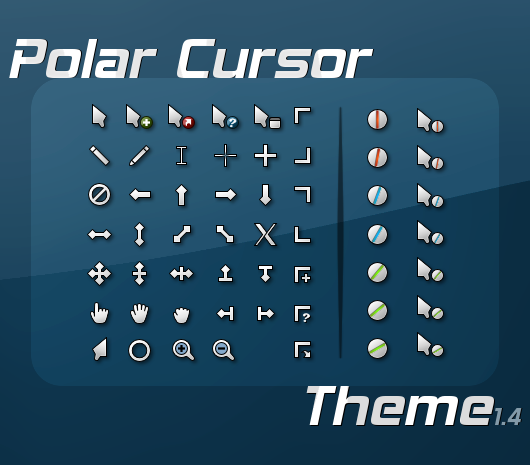 Here’s a list of the top 11 mouse pointer themes that you should try. Note: In case you don’t know, you can easily install new mouse cursor scheme at Control Panel -> Mouse -> Pointers -> Browse. Also, some cursor schemes include a .INF file that allows you to install the scheme easily by simply right clicking on the .INF file and select install. As the name suggests, simplify is a simplistic design approach that comes in both light and dark flavours. Such designs help with distraction elimination and provide a solid way to interact with your system. To install, just right click the install.inf file and choose the install option. You may then find the new cursor in the control panel and enable it. 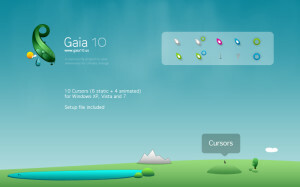 Gaia is a colourful and refreshing mouse cursor set that features six static and four animated cursors. This set was designed in the context of a community project to raise awareness for climate change. Gaia also comes with an automated installer for easier installation. 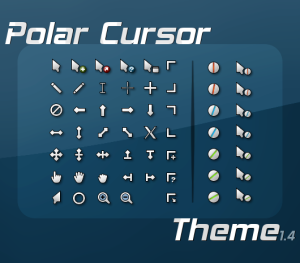 If you are a Wii fan/owner and want to have consistent interfaces and design among your machines then changing your PC cursor is a good first step. 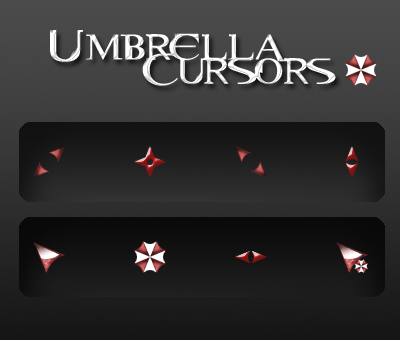 The set includes 18 cursors (3 animated) that follow the characteristic tilted design found in Wii gaming consoles. 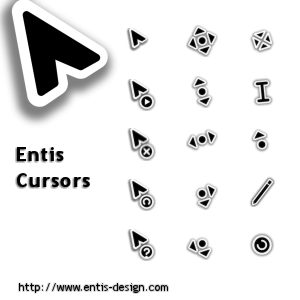 Entis is a bold cursor theme that can prove very helpful for people with seeing problems like the elderly. The thick white frame does help with contrast increase, always making your pointer easy to locate. On their website, you can also find a left-handed version. Polar theme is another simplistic and clean design approach, yet deeply informative thanks to the rotating load indicators. For those of you who prefer black, there’s also a dark version called Obsidian. To install, you right click the .INF files and choose the install option. You may then enable the newly install cursor from the Control Panel. 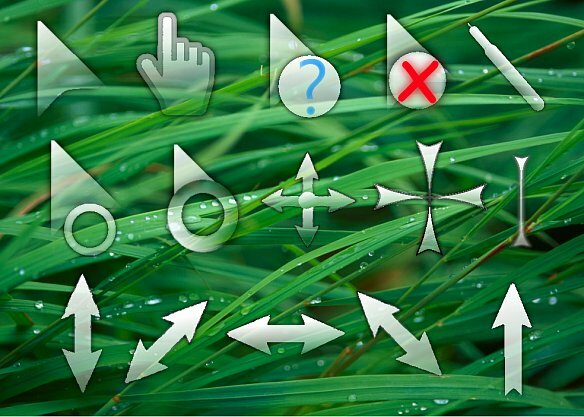 Transparent cursors may not sound like a good idea for those who have trouble locating their pointers, but they are very suitable for anyone who wants a mild design for a more relaxed use. Transparent cursors stay out of your way when you are using your computer and look quite elegant. Many out there believe that Mac OS X is the epitome of elegance. For this reason, there are countless imitations aimed to bring some of Mac’s elegance to Windows systems. 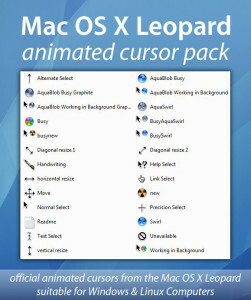 This cursor theme is maybe the best implementation available, boasting a comprehensive and colourfully animated Mac OS X cursor theme. 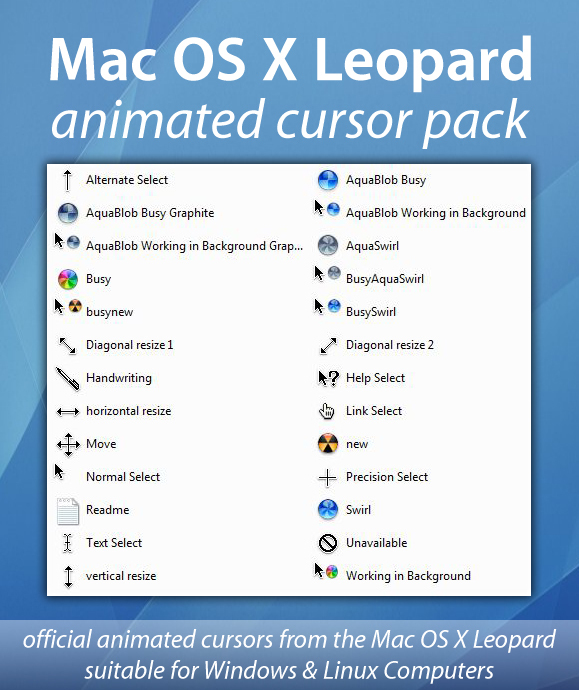 To install, copy your new cursor pack to C:\Windows\Cursors and then enable it from your Control Panel. 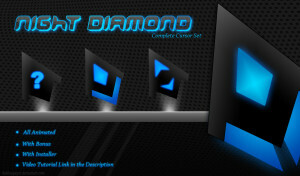 Night Diamond looks seductive and modern in every way. 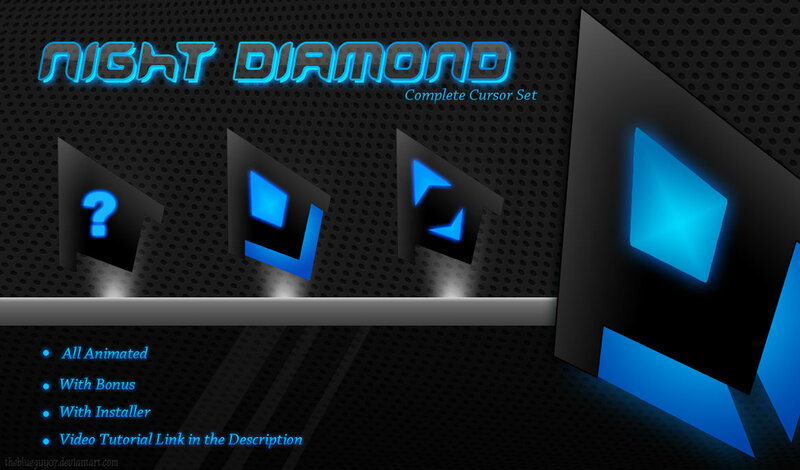 This completely animated theme features many cursors for any action you may need to have one. All pointers look great on this posh blue light that makes them shine in excellence. More versions with different colour tones like silver, bloody red, golden orange, amethyst and emerald green are also available. Glass is always seen with positivity from most people as its correct depiction requires accurate and modern design techniques. 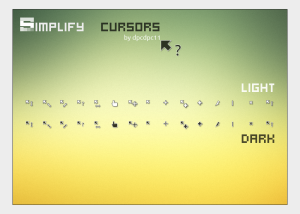 This cursor is made of glass, but you can hit it on the edges of your screen and click it with fury if you want. 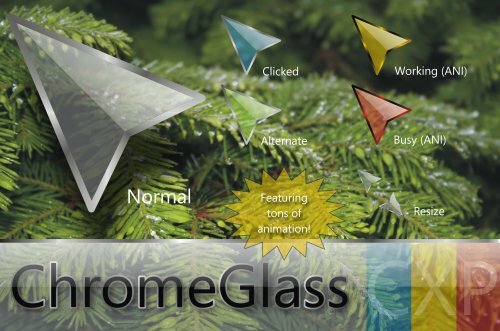 If glass is nice, Chrome glass is even better right? This animated cursor theme provides a colouring intuition for users as it changes colours according to actions and system load. 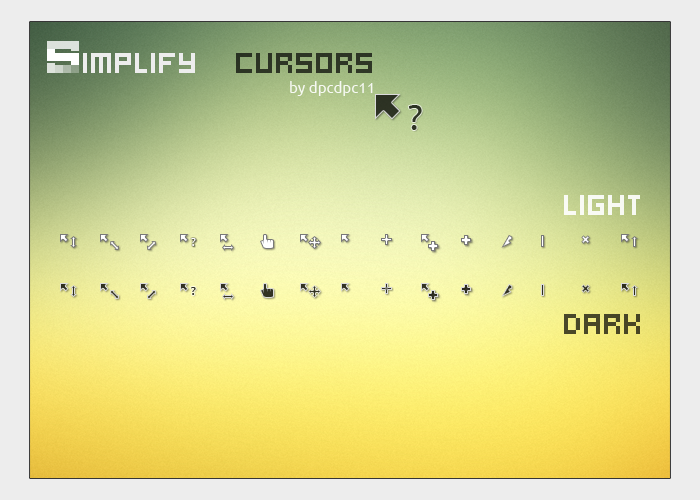 The cursor’s transparency is well adjusted and will serve your daily needs just fine. As in everything nowadays, its all about zombies in the end! If you want a cursor that will make you feel like you are using an Umbrella corporation computer, then this cursor theme is for you. Even if you’re not a Resident Evil fan, you may find this theme interesting as it is very well designed.